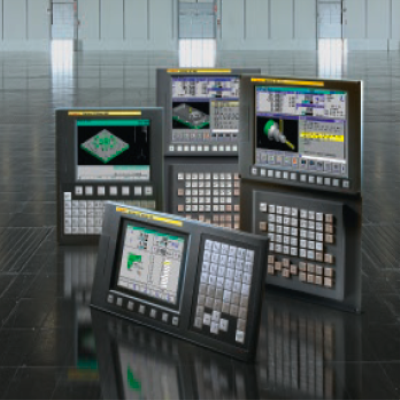 To optimise their range of globally renowned machining centres by moving to high-end FANUC CNCs. To integrate the powerful FANUC 30i-B CNC into the tried and tested G-series machining centres. In doing so GROB has pushed their latest product range to new limits. FANUC’s impressive CNC options enable GROB’s machining centres to operate at full potential. Increased efficiency through a new range of CNC options. It is a known fact that GROB has been a global player in the system business with the automobile industry for years. During the same time, the company, with headquarters in Mindelheim, Germany, set out with its universal machining centres to capture the world market: In its Chinese production plant in Dalian, Asian versions of the successful G350 and G550 models are being built. 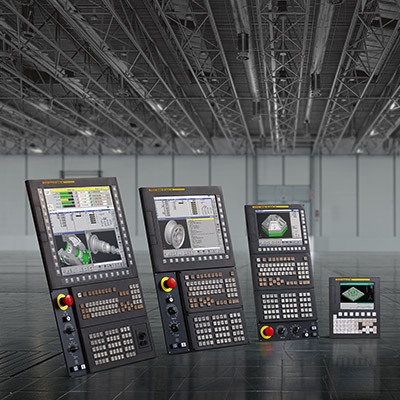 In addition, GROB also offers these universal machining centres with FANUC controls. The name GROB stands for competence and reliability. This is also true for the 5-axis universal machining centres that were first unveiled to the public at the EMO 2007. This series has continuously evolved: One year after the G350, the machine told manufacturer launched its big sister model, the G550, in the market, followed by a machining centre totally without hydraulics and the G550T 5-axis universal milling-turning machining centre. Since the EMO 2012, the G750 has rounded out the higher end of the company's range of universal machines. In addition, the company is continuing to expand its international sales network, which requires different connections than the system business. Asia plays a vital role in this. In addition to the service and sales locations in Beijing and Shanghai, in June 2012 GROB opened a production facility in Dalian, in which, among other products, Asian versions of the universal machines are being manufactured. "The reliability of the FANUC CNC and drives, touted repeatedly by customers, made it easy to decide in favour of this partner." Parallel to the decision to produce GA machines in Dalian, the company decided to offer the universal machines with the new FANUC controls. In order to prevent any misunderstandings, Alexander Attenberger, Department Head for Universal Machines – International, was quick to point out that the cooperation is not limited to the Asian machines: "We've been working with FANUC since the year 2000. Previously, our work mainly involved our system business, however. Now we have expanded the partnership even further into the universal machining centres. This means that all the G series machines are available with FANUC CNC. Naturally, we know that FANUC has a vast presence in the Asian market, and that is why we anticipate equivalent acceptance with customers there, but here in Europe as well, we have had repeated requests in the past for FANUC-controlled machining centres, especially from contract manufacturers. GROB responded to this demand at the EMO 2013 by presenting the G350 with a FANUC Series 30i-B CNC. There is a good reason for the company's choosing the high-end control from FANUC: On the last automotive project, GROB had the best experiences with this control. That is why the company's leadership also decided to deploy the highest performance class of controls in the universal machining centres. Alexander Attenberger maintains: "We go to the absolute limit in the complete range of mechanical features, so it's logical to also choose the best-of-breed control from one supplier. It is ultimately the interface guaranteeing that the performance of the machine will be fully implemented. The FANUC 30i-B CNC offers all the options to do so, including the choice of complete 6-axis programming in one NC command line, a function we definitely want to offer to our customers. In addition, the reliability of the FANUC CNC and drives, touted repeatedly by customers, made it easy to decide in favour of this partner."